Pata Sandesh - As the name says, Sandesh is the traditional Bengali sweet. Another one of the Bengali's speciality is the Pata Sandesh. 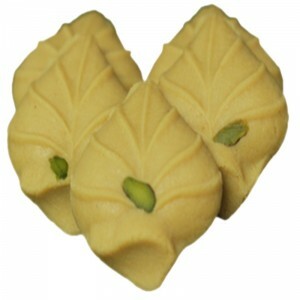 A deliciously beautiful Leaf shaped Bengali sweet. Just like its shape, the taste is quite enjoyable. A great melt in mouth delicacy which is delectable. 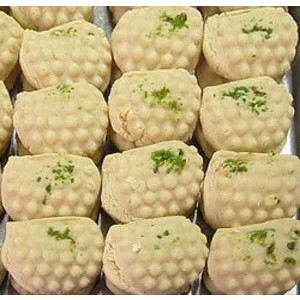 Aata Sandesh - As the name says, Sandesh is the traditional Bengali sweet. Another one of the Bengali's speciality is the Pata Sandesh. A deliciously beautiful Sharifa (Custard Apple) shaped Bengali sweet. A deliciously beautiful shaped Bengali sweet. Even with the unique, the taste is quite enjoyable. A great melt in mouth delicacy. Strawberry Sandesh - Sandesh is one of the most common delicacies in the country, and more in West bengal, but why just a simple sandesh, when you can let your taste buds taste multiple flavours? Presenting to you the Strawberry Sandesh, made of Strawberry Crush and Cottage Cheese. This Sandesh looks as delicious as it tastes. 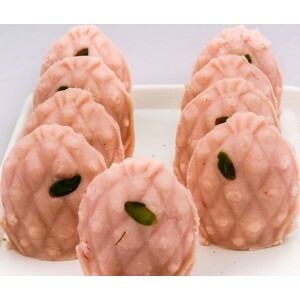 With the burst of Strawberry Crush with every bite, the delectable flavours of the Sandesh also come through. 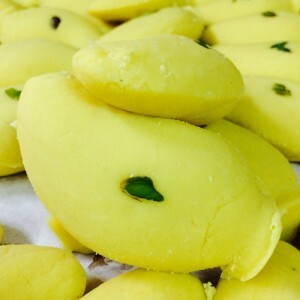 Pineapple Sandesh - Sandesh is one of the most common delicacies in the country, and more in West bengal, but why just a simple sandesh, when you can let your taste buds taste multiple flavours? 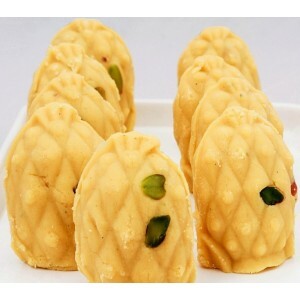 Presenting to you the Pineapple Sandesh, made of Pineapple Crush and Cottage Cheese. This Sandesh looks as delicious as it tastes. With the burst of Pineapple Crush with every bite, the delectable flavours of the Sandesh also come through. Mango Sandesh - Sandesh is one of the most common delicacies in the country, and more in West bengal, but why just a simple sandesh, when you can let your taste buds taste multiple flavours? Presenting to you the Mango Sandesh, made of Mango Crush and Cottage Cheese. This Sandesh is shaped like a mango and the taste is nothing less than delicious.